Looking for a nice place to have dinner? Need a hotel to spend the night or simply the nearest cash machine? With more than 2.8 million downloads, the local.ch app is one of the most popular apps in Switzerland. Users can quickly find contact information for residents and additional information such as opening hours for businesses. 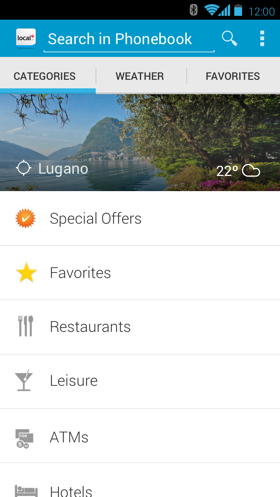 The success of the redesign of local.ch web application in 2013 led to a necessary overhaul of the mobile app. Up until that point, the mobile application had worked as a functional product, but there was still room to improve its customer experience. It was time to re-design and provide a beautiful user experience by bringing the emotional appeal of the new web platform to the mobile application. 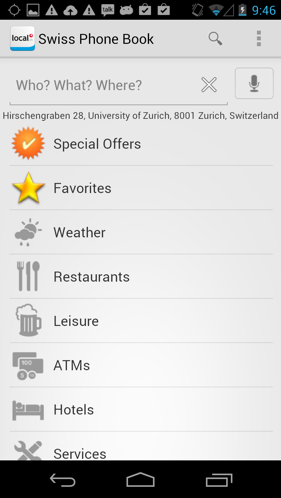 Old design of local.ch mobile app (2013). 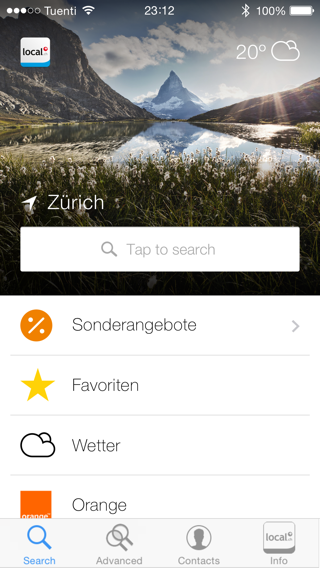 Redesign of local.ch mobile app (2014). The collaboration between Ginetta and local.ch was based on concrete goals, tasks and deliverables. One considerable challenge was the fact that we were not only working for the client but also together with the client. Scribbles from the kickoff workshop. 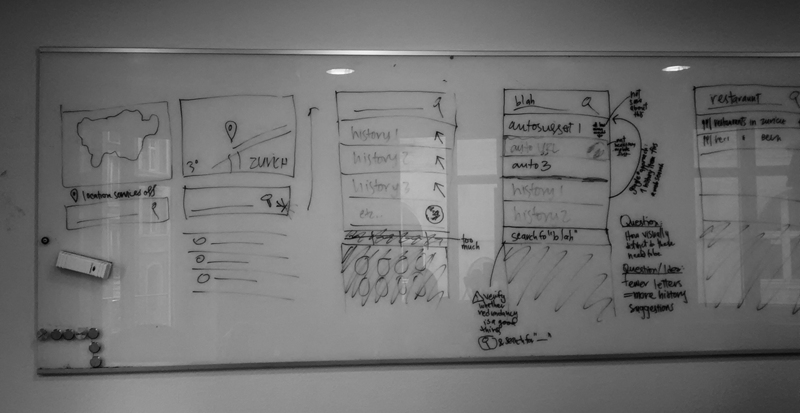 We led a kick off workshop with the local.ch mobile team and brainstormed how the user experience could be improved. We discussed goals, defined priorities, and scribbled ideas. Ultimately we agreed that we would work in two sprints and develop one feature per sprint. Ginetta started to design some wireframes according to the new ideas. We began with sketches and then moved into Sketch. Through InVision prototypes, we collaborated with local.ch on concepts, designs and implementation issues. While local.ch implemented the backend, Ginetta defined the look and feel of the wireframes, following both the new iOS design guidelines and the design of the new local.ch web platform. While the designs were being implemented, Ginetta met with the team at local.ch every week to discuss business perspectives, interaction models and visual details. Ginetta's flexibility and professionalism is matched by their passion and honesty, enabling us to "think bigger" about our goals and ultimately achieve a higher standard of design. One of the main focus points of this project was the re-design of the homescreen. The strategy was to engage the user from the very start by following an emotional design and addressing the user needs with a prominent search and personalised categories. Feel like you're home each time you launch the local.ch app. The new contextual image, based on your location, will remind you of this city's beauty. Looking for contextualized results based on your location? By default the app uses your current location but can be changed to a new location. Are you looking for some outdoor activities? 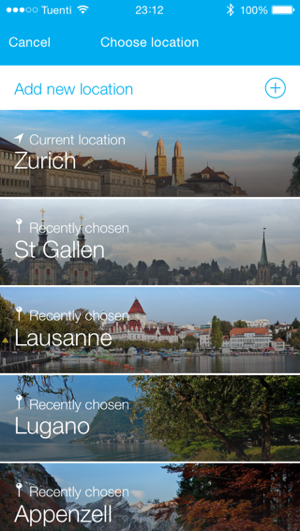 Local.ch app shows you the weather according to your chosen location. Interested in a specific topic? 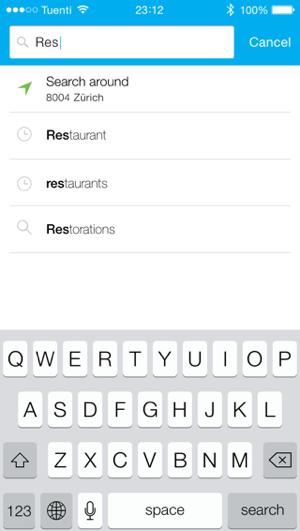 Browse through the different categories in the homescreen without being distracted by the search option. The app is clean, well-designed, and simple to use. Whatever you are looking for, you find it quickly. Really a successful app. 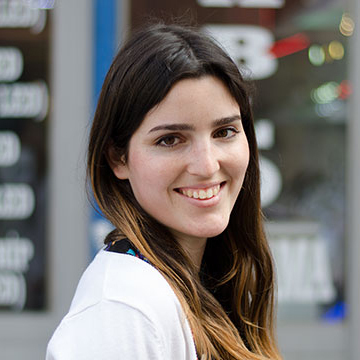 Looking things up is local.ch's principle business, and so it had to be the most important element on the screen. We placed it in the center of the screen so that users can reach it more easily with their thumbs. To help and guide the user, we also implemented a context-aware autocomplete, including three types of suggestions: history, location and matching queries. The new Autocomplete makes entering data much more easier! Top design, top functionality. Part of this project was also to think about a new concept for the Restaurant Guide of the local.ch mobile app. Refreshing the design and improving a user's guidance were crucial points in the redesign in order to attract more users. With one click, easily book a table directly from the local mobile app, accessing the restaurant detail page. Up-to-date restaurant ratings and reviews shown individually for each restaurant. Several animations were implemented to provide smooth transitions while the user goes through the Restaurant Guide. Parallel to the iOS re-design, the Android app was also re-structured. Together with local.ch we adapted it to the current Android guidelines and implemented some new features that had already been implemented on iOS such as special offers, ratings and auto-complete. Working together with the local.ch mobile team allowed us to create a timeless concept and design that works across mobile devices.